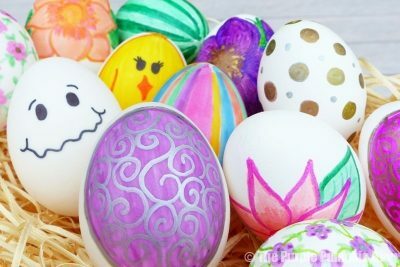 It’s almost Easter time, and I’m so excited! He is risen, Spring is here, and it’s wonderful to see the sun again! 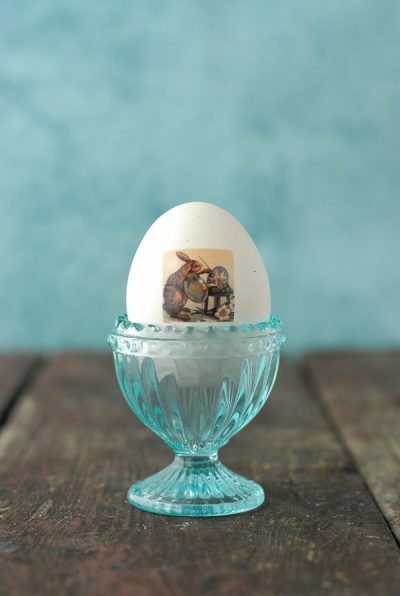 Easter is a time full of traditions for many: new Easter dresses, church services, Easter egg dying and egg hunts, photos with the Bunny at the mall… Whatever your tradition choice, you probably look back on the Easter holiday of your childhood with a smile. 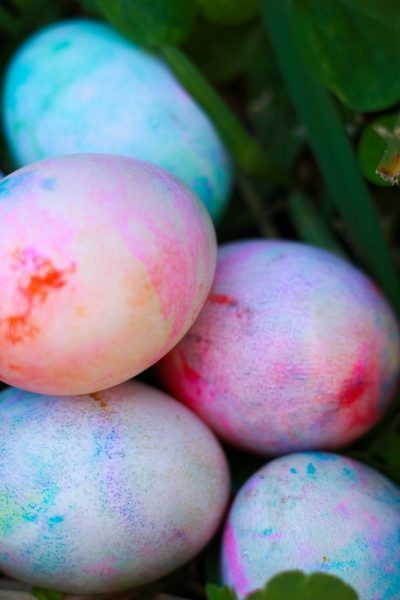 One of my absolute favorite Easter traditions I’ve actually carried into my stepdaughter K’s childhood. The Easter Bunny used to sneak in the night before Easter Sunday and hide our baskets somewhere in the house! I remember one year it took me until 4 pm to find my basket… in the washing machine! It was always such a fun game; it didn’t even matter what was in the basket (though it was usually filled to the brim with candy, of course). The hunt was the most fun. 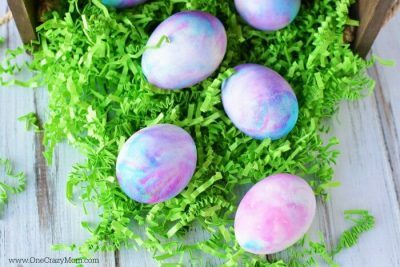 Another really fond memory I have growing up is dying Easter eggs with the family. We never got fancy with it, but we definitely had a lot of fun. The WorldWideWeb was barely in existence when I was growing up (Remember when we used to call it that? Like, the days of dial-up…). We didn’t have Pinterest or fancy blogs like the moms nowadays. How lucky for us, now! 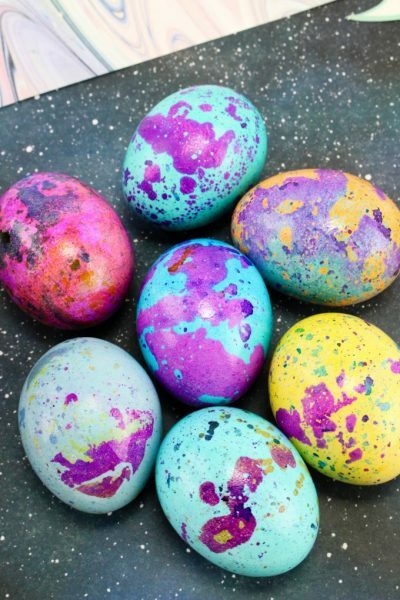 I’ve compiled 20+ of the very best ways to decorate Easter eggs I could find. 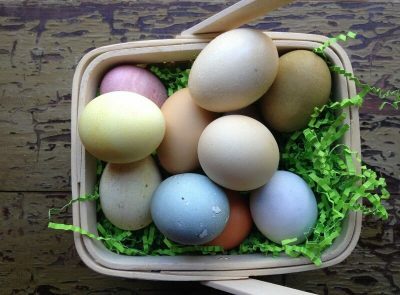 Different materials are needed for each, but one thing remains the same: they’re not nearly as dull as the eggs we made growing up! Shut the front door. 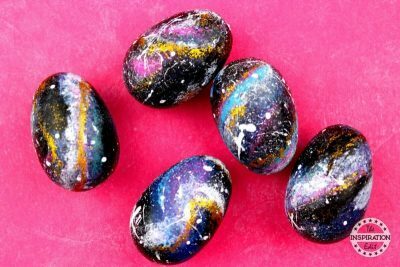 These crystal Easter eggs are AMAZING. 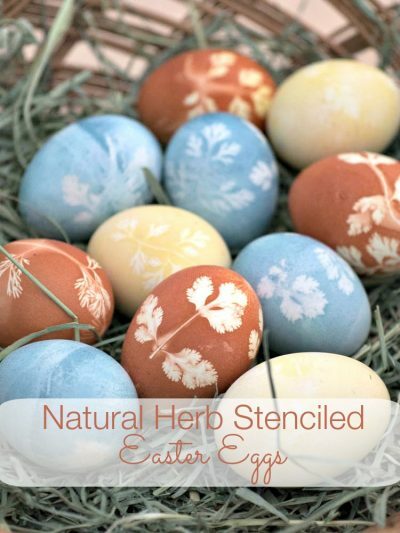 Not only do you get to dye eggs with this one, but you also have the perfect opportunity to teach your littles about fruits and veggies. Win-win! 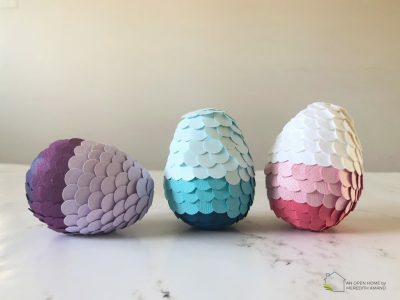 Don’t mind me, just over here obsessing over these Easter eggs! This one takes a lot of patience – but WOW is it worth it! Okay, I love these. I’m definiiiitely trying these pronto. My husband is obsessed with space. If he could live on a spaceship or on another planet, he would. Needless to say, we’ll be giving these a go this year! Be honest with me… How bad is it that every time I see a new design it becomes my new favorite? We LOVE painting with nail polish! 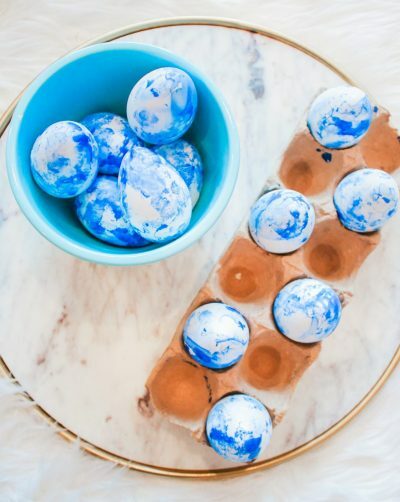 It’s one of our favorite crafts to do together, and I am so inspired by how these eggs turned out! We’ll have to add these to our list as well! 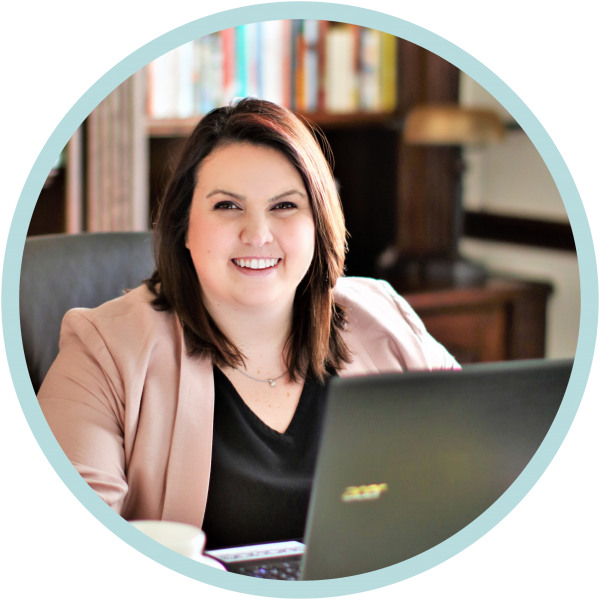 Once my husband’s company went to a more casual dress code, he stopped wearing ties almost completely. I think I just found the perfect excuse to bring them back out! I love this idea! For smaller kiddos, just grab a package of their fave temporary tattoos from the store – same concept! 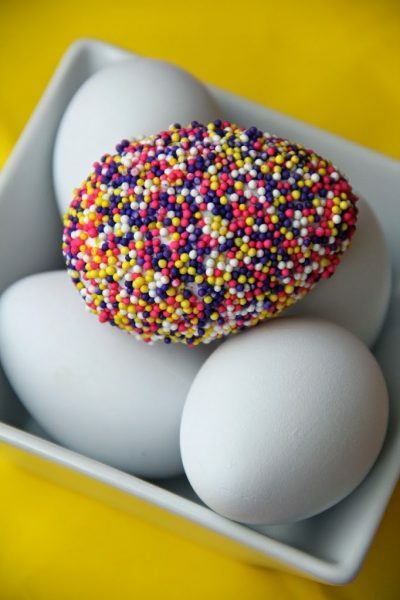 You had me at sprinkles. How beautiful are these?!? So classy and elegant! The options are truly endless with this tutorial. I personally love the little faces! 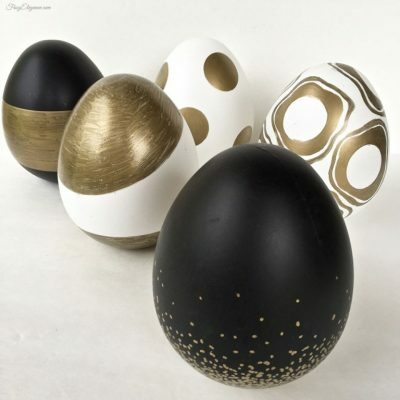 The use of oil and vinegar on these eggs gives them the coolest look I’ve seen so far! 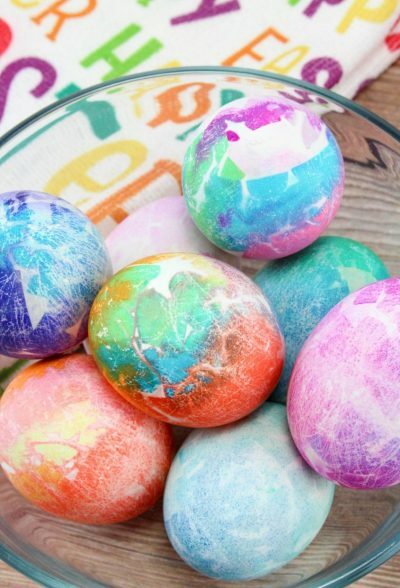 It’s pretty cool how you can use an everyday object you have around the house like shaving cream to dye Easter eggs! 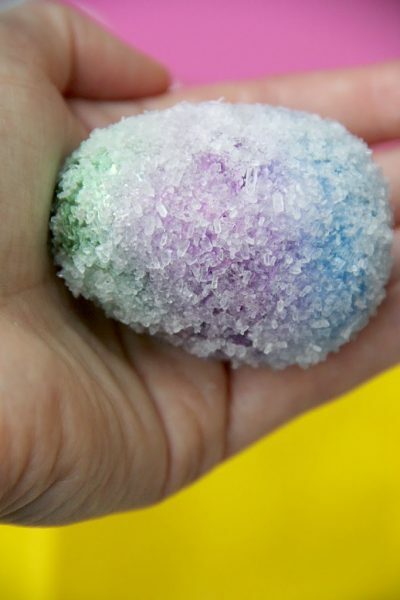 Plus, it’s such a fun sensory object for preschoolers. Love this! 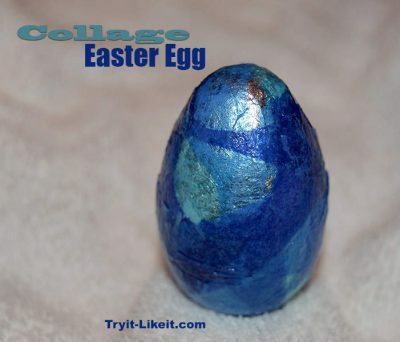 I never thought to do a paper mache type Easter egg – this turned out SO CUTE. 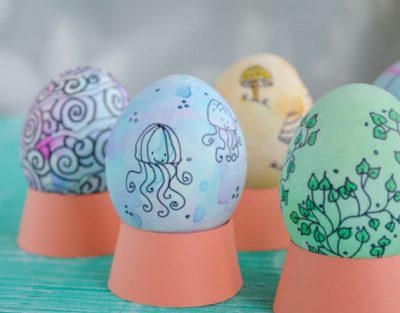 Save this one for a day when you’re feeling really crafty with your littles! 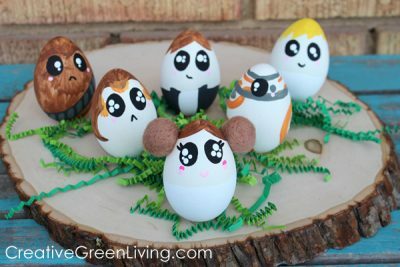 Do you love Star Wars too? I can’t get enough of these! SO CUTE. My stepdaughter LOVES Minecraft. It’s a video game she plays a lot with one of her friends on her Mom’s side! I don’t know much about it except that she’s obsessed. 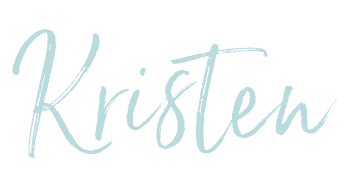 I couldn’t help but include these – they are too fun! I hope found some fun tutorials to try with your littles this year, mama. I know I found a few… or twenty… that I can’t wait to try! 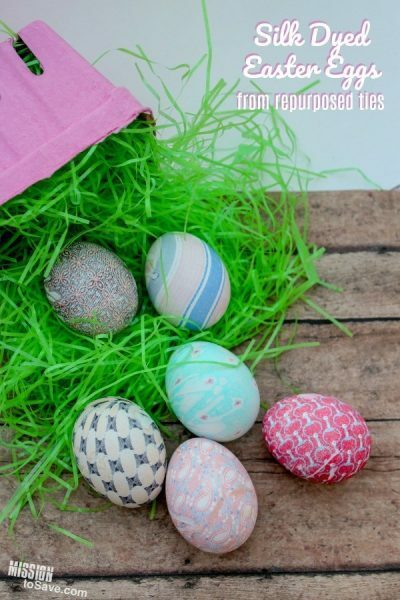 We love simple, beautiful craft projects (especially those that double as home décor!) in my house. 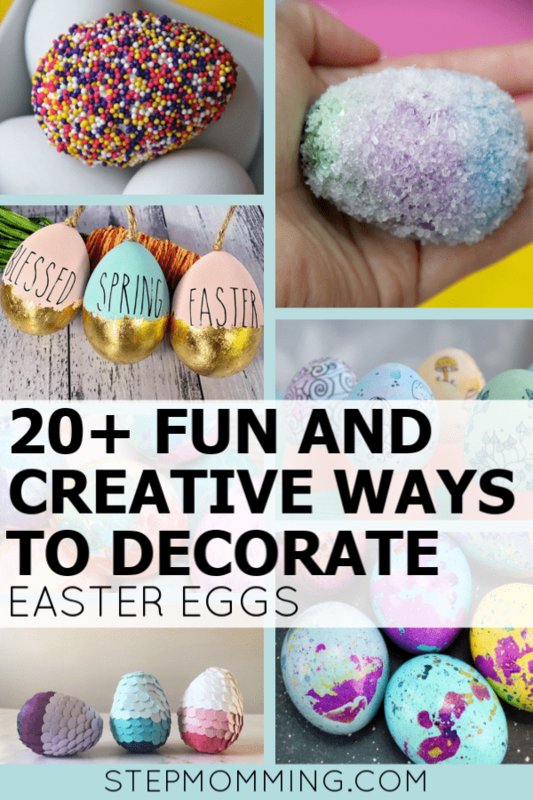 Perhaps we’ll even turn some of these decorated Easter eggs into a fun Spring wreath or cute mantle décor! 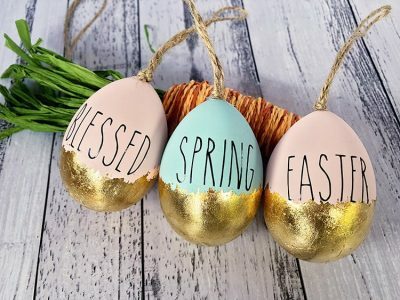 It sounds like I might just end up with a new favorite Easter tradition. 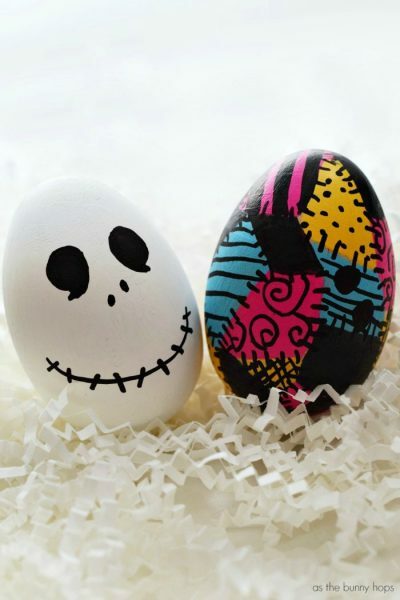 No matter how you celebrate this year, I wish you and yours a very happy Easter! 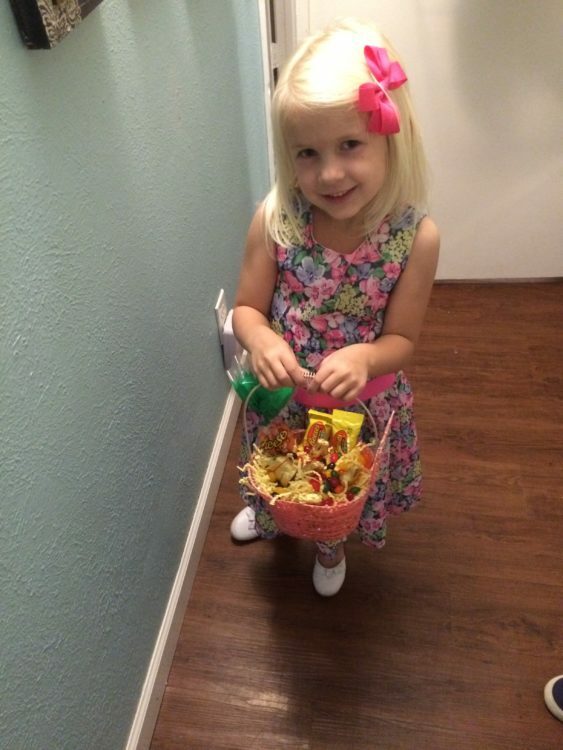 PS: This year’s Easter basket ended up inside the formal living room’s coffee table/trunk! If you have any good hiding spot suggestions for future years, let me know in the comments!